"Amber Glow Park" 1995, Amber Glow Series, acrylic on canvas, 24 oval pieces, 16 x 20 inches (41 x 51 cm) each. "Amber Glow Park I", Amber Glow Series. "Amber Glow Park II", Amber Glow Series. "Amber Glow Veil I", Amber Glow Series. "Amber Glow Wave I" 1994, Amber Glow Series, acrylic on canvas, 60 x 48 in (152 x 123 cm). 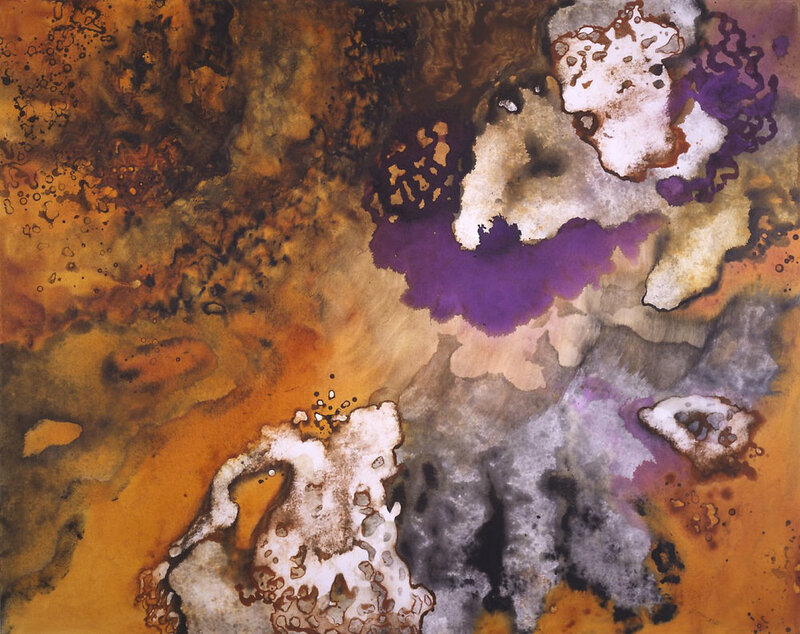 "Amber Glow Wave II" 1994, Amber Glow Series, acrylic on canvas, 60 x 48 in (152 x 123 cm). 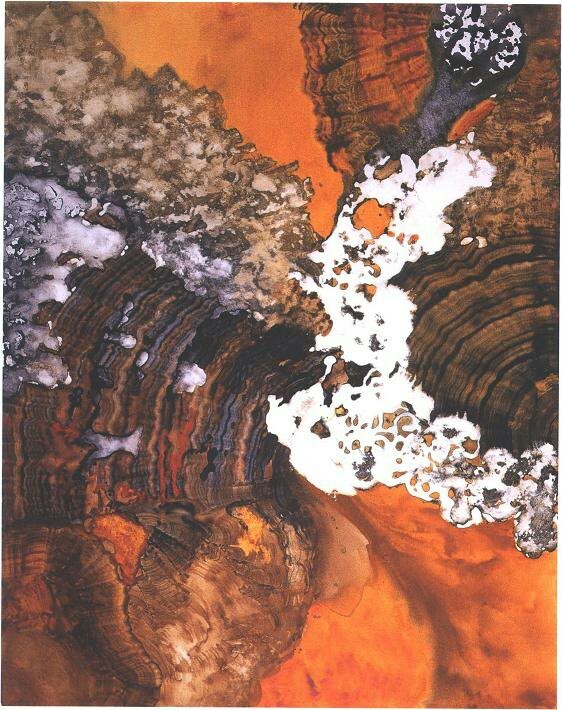 "Amber Glow World" 1995, Amber Glow Series, acrylic on canvas, oval 10 x 17 feet, (305 x 518 cm). "Acra Gold Amber" 1994, Amber Glow Series, acrylic on canvas, 48 x 60 in (122 x 152 cm). "Mellow Light Amber", Amber Glow Series.